When it comes to medical equipment repair, many specialists agree that working on endoscopes requires a particular level of competence and expertise. In this regard, endoscopes stand apart from general service on surgical instruments. US Medical Systems wants you to know more about these devices and why you should trust only the best surgical instrument repair service for endoscopy maintenance. Endoscopes are complex operating room instruments that are used alongside power and video equipment. Endoscopy equipment consists of many different parts, each made with precision. Many of these components are delicate and need special handling while being repaired or replaced. 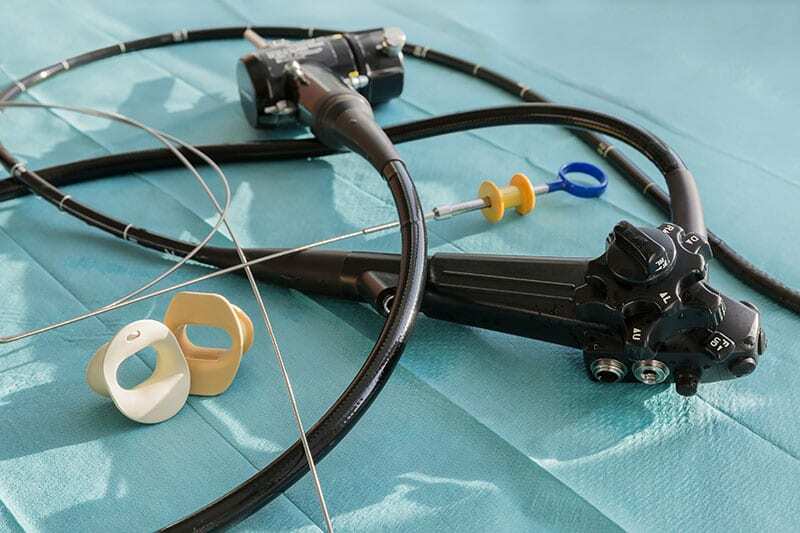 If substandard materials and techniques are used during servicing, your endoscopes are at risk of breakage during procedures. This puts your patient’s health in danger, reduces productivity, and threatens the reputation of your medical facility. This is why industry experts stress the importance of quality repair services and replacement parts. Any replacement parts that are used must be medical-grade and must conform to the manufacturer’s original specifications. Endoscopes are among the most challenging surgical instrument types to sterilize. Incompatible parts may interfere with the sterility of the endoscope. At the same time, stringent processing and sterilization protocols will quickly cause damage to cheaper, incompatible parts. This can also lead to premature breakage, creating a safety hazard. Sub-quality repair may alter the image and focus quality of the scope and affect its performance. Damage to endoscopes is often caused by improper handling, reprocessing and cleaning. Fluid invasion is one of the most destructive things that can happen to an endoscope. Major repairs will be needed if this happens to a device. Regular leak testing is critically important. Any instruments that fail such tests should be serviced without delay. Endoscopes should also be carefully inspected for signs of damage and cracks. These devices endure a lot of stress during use. Proper endoscope processing and inspection at healthcare facilities is a significant cost saver when performed by adequately trained personnel. US Medical Systems services and repairs both flexible endoscopes and rigid endoscopes. Our Endo-View camera inspection system makes sure that even the smallest problems are discovered and our EndoBenchXTB™ tester will measure and assess the image quality of your endoscopes. Contact us at (877) 503-9773 to learn more.